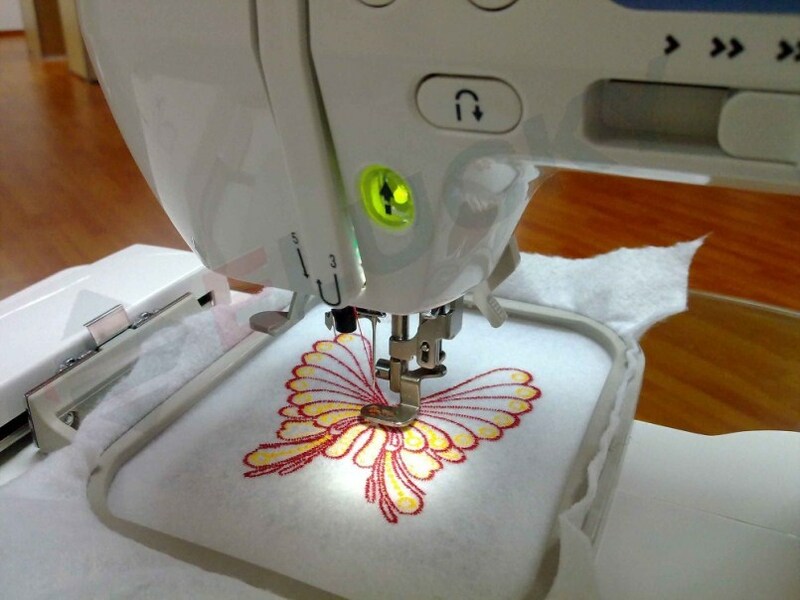 How To Choose Embroidery Stabilizers? 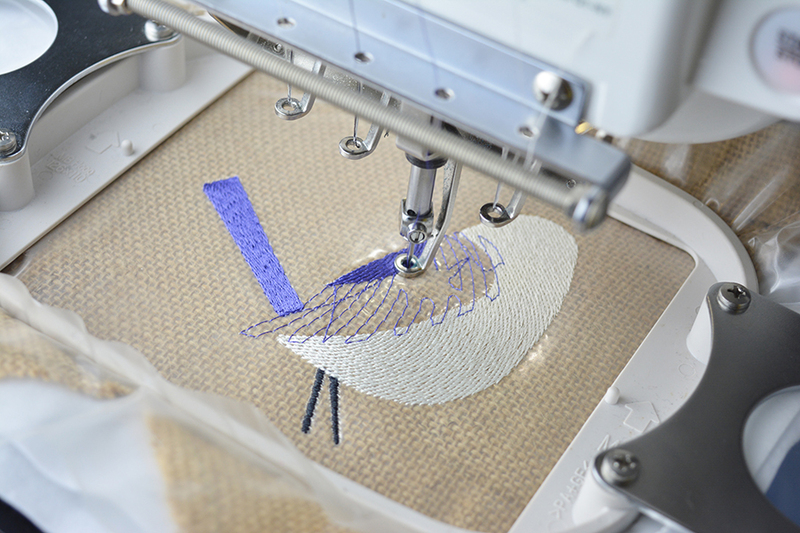 With the increasing popularity of machine embroidery, the demand for embroidery stabilizers has grown significantly. Embroidery stabilizers are materials that are used in machine embroidery in order to hold the fabric in place during stitching. This helps prevent puckering and stretching. The quality of embroidery depends heavily on the use of embroidery stabilizers. 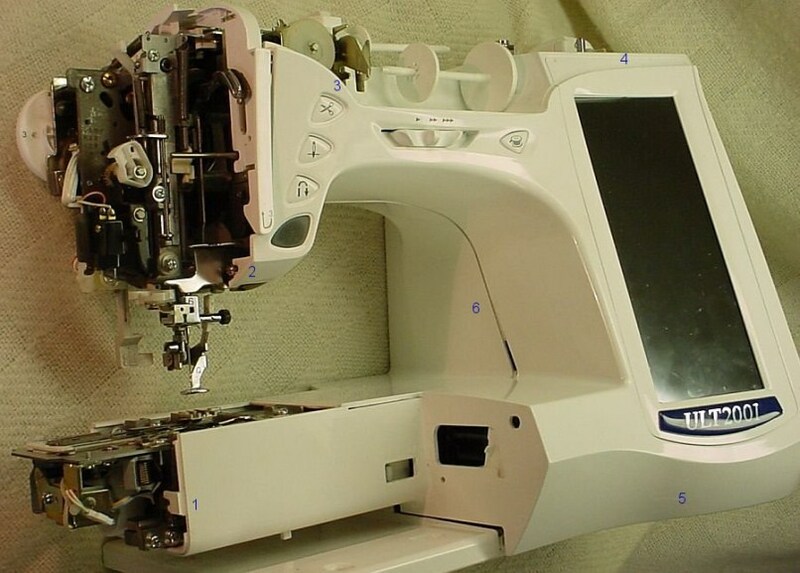 Using a stabilizer ensures that your stitches remain intact and your machine runs smoothly. Additionally, they increase the lifespan of the embroidery. Due to their importance, choosing the right one for your particular embroidery project is mandatory for a high-quality product. There are several types of embroidery stabilizers, each with its own unique abilities. Due to this, choosing the right one for your project can become difficult. In order to make an informed decision, there are several factors you have to consider. Different fabrics require different types of stabilizers. When choosing a stabilizer, you need to consider your fabric’s density, elasticity and how it is laundered. As a rule of thumb, light fabrics are used with lightweight stabilizers while heavy fabrics are used with heavy stabilizers. Additionally, stretchy fabrics are used with heavy stabilizers. This is because these fabrics tend to move around a lot and therefore need a heavy material to hold them in place. Ultimately, you should always remember to choose a stabilizer that can handle the method of laundering used on the fabric. The more the stitches and the more detailed your design is, the heavier and sturdier the stabilizer you need. When dealing with a less detailed, light stitching designs, light stabilizers are the way to go. For projects that are not easy to hoop, it is advisable to spray on some adhesive stabilizer. This is the easiest way to keep the fabric stable. When choosing a stabilizer, it is important to choose one that will not negatively affect the end use and longevity of the project. There are four types of embroidery stabilizers. These are cut-away, wash-away, tear-away and heat-away stabilizers. They are named according to the method by which they are removed. More importantly, these types of stabilizers come in different forms and weights. These forms include fusible, non-fusible and adhesive backed. Let me give you the rundown on the different types of stabilizers. These stabilizers are permanent and resist stretching. They are the most stable type of stabilizers. They are usually made of meshed fabric. Their tightly packed mesh nature makes them strong in all directions. 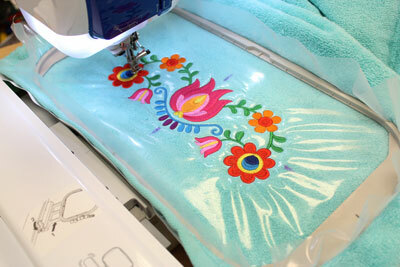 After embroidery is finished, the excess stabilizer is cut off. However, the stabilizer material under the design stitches remains with the embroidery for its lifetime. This offers permanent support that prevents pulled and sagging stitches. This prevents puckering, gapping and shifting. Cut-away stabilizers can be used with all types of fabrics. However, when dealing with stretchy fabrics, cut-away stabilizers are the only option. This is a universal rule of thumb. This type of stabilizer is perfect for knits, loosely woven fabrics, and densely stitched embroidery designs. These stabilizers come in different colors and weight categories. These weight categories are listed below. Heavyweight: these are the heaviest and therefore provide the strongest support. They are the best suited for densely stitched designs. They are also good for heavy-duty projects. Medium weight: these are neither light nor heavy. They are used for most embroidery projects. This is because they are not as stiff as their heavyweight counterparts but offer more support than the light ones. They are perfect for medium weight fabrics. Lightweight: these are light and soft. These gentle-to-feel cut-away stabilizers are best used with lightweight fabrics and lightweight stretchy fabrics. They are mostly used for baby items and children’s clothes. It is important to note that all three weight categories of cut-away stabilizers come in fusible and non-fusible forms. The non-fusible forms attach to the fabric upon ironing. This eliminates the need for any other type of adhesive. As their name suggests, these stabilizers are torn away from the fabric after embroidery is complete. These temporary stabilizers are mostly used when you want to remove most of the excess stabilizer from the back of your embroidery. They can be used with most fabrics but are unsuitable for stretchy and sheer fabrics. As much as they give a neater, more finished look, they don’t offer as much support as cut-away stabilizers. Additionally, they easily experience wear and tear over time due to laundering of the fabric. They also come in different weight categories. These categories are heavy weight, lightweight, and medium weight. All these weight categories of tear-away stabilizers are soft and pliable. Tear-away stabilizers come in fusible, non-fusible and adhesive backed forms. The fusible form is attached to the fabric by ironing it at low temperatures. These iron-on stabilizers should not be used when dealing with a tightly packed row of stitches. In this case, they will be difficult to remove. There also exist tear-away stabilizers that disintegrate in water, therefore simplifying the separation process. On the other hand, there are water activated ones that stick to the fabric upon wetting. There are also flame-retardant tear-away stabilizers. These are made from propylene and are perfect for embroidering children’s pajamas. Additionally, colored vinyl tear-away stabilizer is a unique type of tear-away stabilizer that prevents the color of the base fabric from being seen through the embroidery. This type of embroidery is in the form of a plastic-like film and is permanent. Needless to say, there are many options when it comes to tear-away stabilizers. For those who have never used a tear-away stabilizer, this video tutorial below can help you out. These temporary stabilizers are water soluble and are therefore removed from fabrics by dissolving them in water. They are used in the instances where you will need to remove all traces of stabilizer from the fabric. They are mainly used for specialty fabrics, unique embroidery designs, and delicate mesh-like fabrics. These stabilizers do not allow for designs with a lot of stitches. They also should not be used with fabric that isn’t washable. They come in different forms such as soluble paper sheets, brush-on, and sprayable liquid. 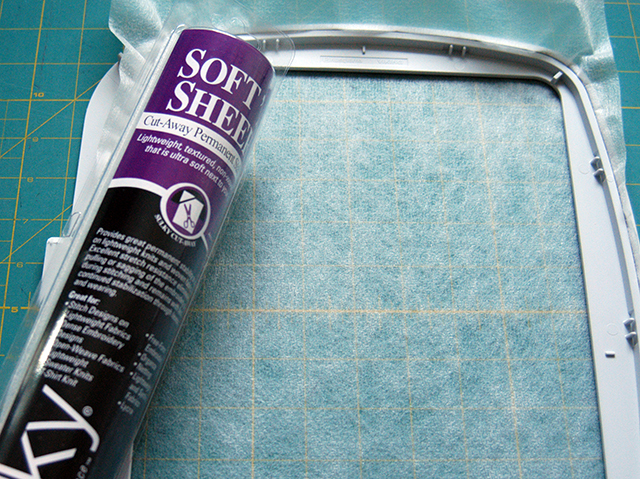 The brush-on and spray-on stabilizers are applied on top of the fabric to form a translucent film. These wash-away stabilizers get dry and brittle when exposed to air and begin to dissolve when exposed to humid conditions. To remove these stabilizers from your fabric, you can either soak the fabric in water, use a spray bottle to mist the stabilizer or wash the fabric under warm running water. Rinsing should be done until there is no trace of stabilizer left. If some stabilizer is left in the fabric, it will become stiff. This is easy to notice especially when dealing with lace. The more you rinse the fabric, the softer it becomes. This stiffness associated with wash-away stabilizers is the main reason you should not apply a lot of it on the fabric you are embroidering. These are stabilizers that are removed from a fabric by use of heat. They are mainly used for fabrics that can’t be washed such as velvet, satin and some forms of corduroy. Special techniques such as making lace on an edge also require the use of heat-away stabilizers. They come in woven and plastic-like film forms. The woven ones crumble when heated using an iron. You should, however, make sure you never use a steam iron when dealing with these woven stabilizers. This is because the chemical used to make these stabilizers is water soluble. Once this chemical dissolves in water, it can seep into the fabric and the ironing surface. This leads to crumbling of the fabric upon heating. Plastic-like film heat-away stabilizers are applied as toppings. This means they are placed on top of the fabric instead of below it. They are mainly used in cases where stitches tend to get lost in a dense nap or pile. The stabilizer just beneath the stitches remains intact permanently, offering support during washings. The stabilizer on the other areas is however removed from the fabric by heating with an iron. Wash-away and heat-away stabilizers should be stored in air tight containers because they become stiff when exposed to air. All stabilizers should ideally be stored in the packaging they came in because they are labeled. If you don’t have this packaging anymore, you should store your stabilizers in transparent containers. These containers should be labeled. Some people don’t like using stabilizers. Although there are some instances where you can forgo using a stabilizer, there are some times it is highly essential. These essential instances include when using stretchy fabrics, light fabrics and loosely woven fabrics. As much as whether or not to use a stabilizer is a personal decision, using one is a choice you will never regret. After all, do you really want to take a chance on the quality of your embroidery project? See also: How To Embroider Clothing Labels? Thank you so much!!! This was the best explanation that I have found. Hi Heather, you are welcome! Love this educational information. Exactly what I needed. Wish I could print it and reread it a dozen times.